International students in the UK get sent back home if they suspend their studies for more than 60 days, even due to unforeseen illness. 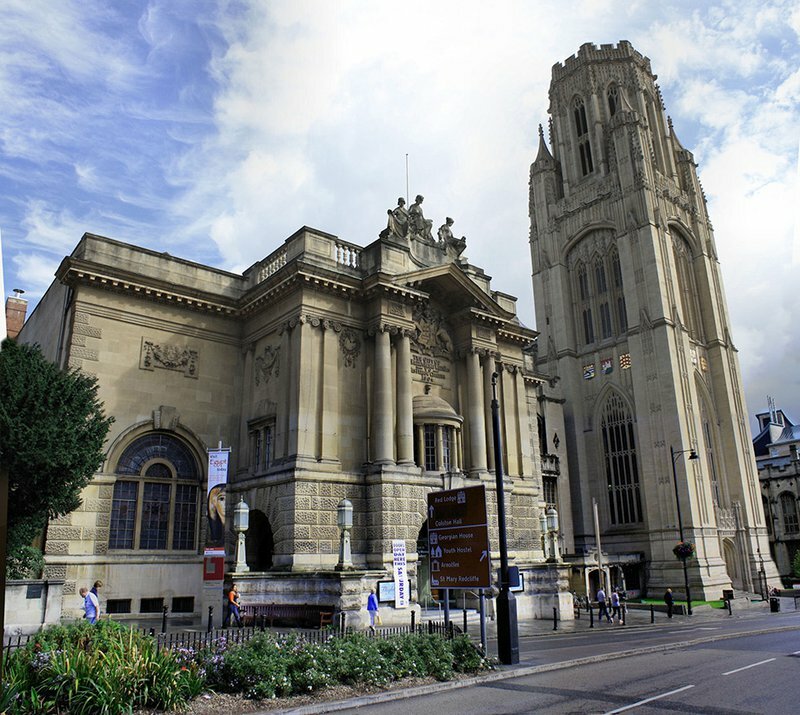 Depending on the course, studying at a UK university costs ‘international students’ (non-UK/EU) at least two to three times more than ‘home’ students. 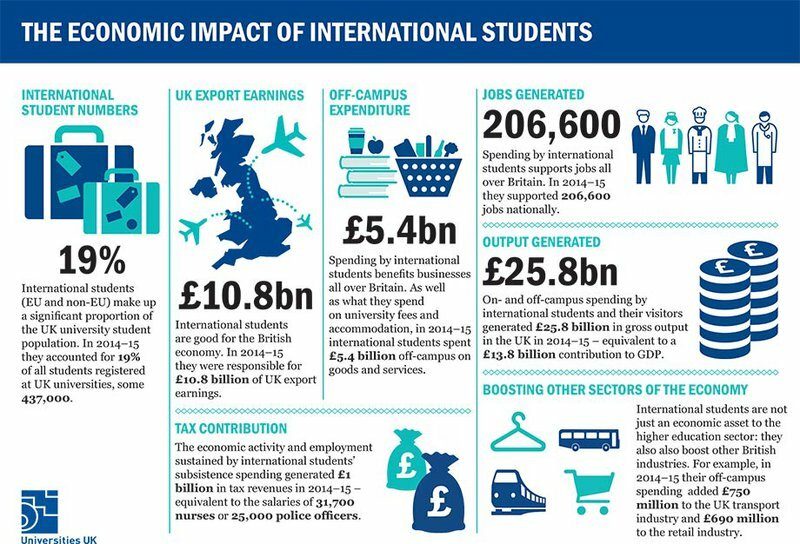 A March 2017 report by Universities UK analyses the economic impact of international students studying in the UK in 2014-15. This analysis was done by Oxford Economics, where both EU and non-EU students were grouped as international students. According to this report, around 19% of all students registered at UK universities were international students (14% were non-EU students). This generated £4.8 billion (£4.2 billion by non-EU students) in tuition fees and £6.1 billion in subsistence spending and other costs, contributing to around 82% of export earnings generated by universities in the UK in 2014-15. Overall, international students generated £25.8 billion in gross output in the UK (80% of which was by non-EU students). This supported 206,600 full-time jobs nationally, which in turn generated £1 billion in tax revenues for the UK exchequer – information Universities UK prominently promotes. A rosy windfall for all concerned. Screenshot from Universities UK. Fair use. It is evident that UK universities and the communities supporting them thrive on the inflow of funds from international students. To keep them coming British universities engage in aggressive marketing strategies overseas, presenting a glorious picture of the British higher education system to prospective students. The rude awakening only comes once the student arrives at the door of the Home Office’s “hostile environment”, where gratitude is expressed through suspicion, surveillance, and restriction. I am an international Ph.D. student at a UK University on a Tier 4 visa. I recently went through a prolonged illness, and was largely unable to work for more than two months. In between the medication and test results, I tried to find out about the administrative procedures required to suspend my studies, if that became necessary. I learned that as a Tier 4 student, I can only apply for a suspension of up to 60 days. If I suspend studies for more than 60 days, my visa will be cancelled. I will be sent back to my home country and I will have to apply for a new Tier 4 visa at a cost of over £1000 (which in my home currency is almost 10 times as expensive). This cost includes around £350 in visa application fees and around £675 for access to the National Health Service. Moreover, if I am not able to complete my Ph.D. on time due to illness, I will not be accorded an automatic extension because of this suspension. The extension will then have to be due to other reasons, invoking the risk of questioning my academic performance. The university acts as hall monitor and border guard simultaneously. Therefore, as a Tier 4 student, I need to ensure that I do not fall sick for more than 60 days. If I do, I must continue with my studies regardless. The university acts as hall monitor and border guard simultaneously. This is written into the immigration rules. It is a duty of the university to monitor my attendance and performance, and report back to the Home Office. Accordingly, if I suspend my studies for more than 60 days, then the university is obligated to inform the Home Office. The Home Office will then ensure that I go back to my home country, inform them when I can resume studies, so that I can apply for a new visa again. There’s a bizarre twist here. If I forecast that the duration of my illness will be for more than 60 days, suspend my studies, and leave the country on my own accord for the duration of the suspension, then I will still have to apply for a new Tier 4 visa. But, the time spent away may be added to my maximum study time after I receive a new visa, at the discretion of the university. If I do not leave the country on my own for any reason (including because my illness prevents me from travelling), then my visa will be cancelled and I will not be accorded this benefit. Illnesses, and their treatment, are rarely so easily predictable. It takes time to figure out what is wrong, and to receive results back from the NHS (for which, as a Tier 4 student, I paid a hefty amount of money to access). So, on top of the anxiety caused by a substantial illness itself, international students who fall ill must also cope with the threat of being sent back to start again. I understand the requirements of the immigration rules. As a Tier 4 student I have been reminded of these rules time and again. Yet illnesses or situations of family bereavement cannot be forecasted. They are hard enough to deal with, even without the axe of the Home Office hanging over our head, threatening us with removal unless we get back to work. These restrictive, controlling and impractical immigration rules must be questioned in the name of students’ well-being. There is no reason to send them back and make them reapply, simply because they happened to fall ill over the course of their studies.